This is the closest thing to an obituary I have found for the former King's Park & Falkirk FC centre-forward George Thallon. His inclusion in the papers [it was also in the Scotsman] leaves a lot of questions unanswered. I won't even go there, although I'm pretty sure there is a report I'd like to read somewhere in the archives of the Glasgow Police. Born in Stirling to a Railway family, George was however brought up in Leith, and soon after school became a clerk with the North British Railway Company. It was through this employment, as Goods Clerk, that he moved first to Stirling Station, then to Falkirk Grahamston Station. In 1889 it was reported that the NBR had moved him back to Edinburgh. During his time in Falkirk not only did he play football, but was active with the two main cross-country clubs, Clydesdale Harriers and Falkirk Heavy Weather Club, even playing football for both against senior opposition. Which brings me back to his end, I mean he was missing for more than a month, then dead, says neither suicide nor homicide, more like misadventure. 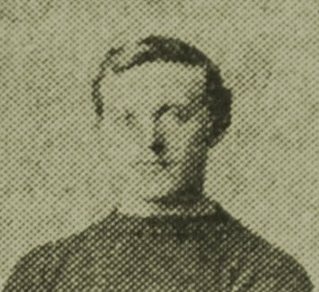 The only picture I have of him, from an 1885/86 King's Park team photo.